Stephen is a founding Director of Prova Profiling and is Director - Psychological Services. He offers in excess of 25 years in the corporate psychology and human capital consulting fields. Stephen has consulted to some of Australia's largest organisations, working in areas such as corporate planning, human resources management and individual skills and team profiling. Stephen is the licensed trainer in Australia for Integrity Selling, the widely acclaimed, psychologically oriented, sales training program. His areas of specific expertise include profiling, sales training, learning & development, competency analysis, recruitment & selection, psychometric assessment and career transition. Stephen is a member of the Australian Psychological Society (MAPS) and a Fellow of the Australian Institute of Company Directors. Cassandra has worked as a Recruitment and Human Resource Professional for almost 20 years. She began her career as a Recruitment Consultant before moving into various specialist HR advisor roles in the public sector for one of the largest Commonwealth Government employers. She has applied her expertise in attracting and retaining critical staff for a large and diverse organisation, job and organisation design, role evaluation and change management utilising the Prosci methodology. Cassandra has recruited at every level of an organisation from graduates through to senior management across a wide range of disciplines including, sciences, information technology, finance, marketing, customer service, health & safety and administration. Cassandra has designed and led top-talent recruitment programmes and understands what is required by an organisation in selecting the right people for the right position and in retaining and developing key staff. Susan has vast experience as an organisational psychologist with more than 20 years working with organizations and individuals to develop high performance cultures and improved individual capabilities. She specialises in executive coaching, competency identification, and development and the engagement and retention of top talent. Susan has consulted to many private and public sector organisations both nationally and internationally. Over the past five years she has worked with several firms such as The Empower Group, Hudsons, Chandler McLeod, and consulted to a large number of Commonwealth Public Sector organisations in a range of workplace psychology areas: job analysis, job evaluation, organisational restructuring, assessment centres, psychometric testing, training, survey development, outplacement, mediation, performance management. She is highly skilled in the best practice around competency modelling, attributes for leadership and high level performance and the different approaches currently used to both identify and develop high performing leaders and managers in organizations. She is also an experienced executive coach and is currently on the Australian Public Service Commission panel of coaches. Richard is a Senior Human Resource Consultant / Psychologist with over twelve years public and private sector experience in the in the provision of a comprehensive range of organisational psychological and consultancy services underlying strategic and operational HR functions, including: Workforce Planning; Learning and Development; Career Management; Outplacement and Career Coaching; Counselling; Assessment and Development; online Organisational Surveys & 360° Feedback Programs; Job Analysis and Competency Profiling; Behavioural Interviewing; Change Management; Performance Coaching and Management; Training Program Development & Facilitation; and adjunct Recruitment Services. Paul is a lawyer, mediator and educator with training in mediation and conflict management specialising in workplace conflict and risk analysis. 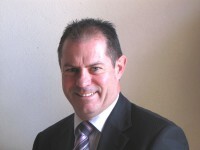 He has worked in family law, tertiary education and educational management. He approaches disputes with a calm and thorough approach. His aim is to prevent disputes from becoming entrenched and to assist in their speedy resolution. He is a nationally accredited mediator (NMAS) and a practitioner member of LEADR & IAMA. LEADR&IAMA is a community of mediators and other ADR practitioners and is a not-for-profit organisation with more than 4,000 members in Australia, New Zealand and the Asia Pacific region. 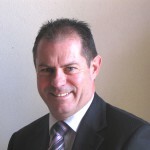 Paul is a specialist mediator with www.psychologyatwork.com.au. In 2014-15 he has been involved as an independent mediator with state and commonwealth departments. Large organisations and smaller workplaces are now realising that there are many benefits and very significant cost saving by early intervention of an independent and unbiased mediator. The use of conflict management tools and mediation allows individuals to gain greater insights and methods to deal with difficult negotiations and workplace issues. The use of a mediation framework in a negotiation helps to avoid protracted, unfruitful fixed bargaining positions and encourages the exploration of alternatives. We all know that in the workplace long-standing, unresolved disputes and conflict result in absenteeism, great personal and financial costs as well as very negative impacts on team morale and performance. Dennis is the Company Secretary and Accountant for Prova Pty Ltd. In addition to this role he also provides secretarial administration, accounting and financial management services to Client Companies, Organizations and Institutions incorporated in Sydney, and Canberra since 1993. For the years prior to entering Private Practice he was employed in Commonwealth Government and Statutory Authorities (1956 – 1993) as Director (Finance), providing accounting, financial and administrative procedural advice, instructions and accounting services to Managers located in State and Regional Branches of Commonwealth Departments and Statutory Authorities. Other activities included management of Finance Divisions, selection and management of staff, preparation of Department Annual Financial Statements, Management of Human and Financial Resources, Budget preparation, monitoring and reporting. The Statutory Authorities included the Royal Canberra hospital, the Australian National University and the CSIRO.